The stage is set for the 19th International Children's Film Festival India (ICFFI), beginning here on Saturday. Children's Film Society of India (CFSI) and the government of Telengana are jointly hosting the week-long festival. This being the first ICFFI to be held after formation of Telangana state, the state government is going all out to make it a success. Titled "Golden Elephant", the festival has received 1,204 entries from 80 countries, claimed to be the highest ever entries received for any film festival in the world. The films will be screened at 12 theatres in the twin cities of Hyderabad and Secunderabad. For the first time, the state authorities have made the arrangements for the screening of children's films at theatres in all district headquarters. Union Minister of State for Information and Broadcasting Rajyavardhan Singh Rathore will inaugurate the festival. 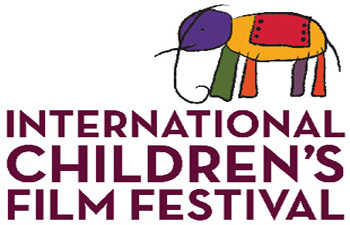 Shravan Kumar, CEO, CFSI, told reporters on Friday that 37 entries from seven countries were received for the section 'Little Directors', a competition section of films for the children made by the children. He said child delegates from India and abroad, members of jury and other distinguished delegates would get a chance to stay together and mingle during the festival. CFSI chairman Mukesh Khanna hoped that the festival will be enjoyable for children and their parents. The veteran actor famous for children's television serial 'Shaktimaan' lamented that children's films in India were not getting the position enjoyed by films in the West. He said the filmmakers in India are shying away from making children's films as they believe those movies are not as profitable as commercial films. He said CFSI would support any film which will be released in theatres like other films. He said since 1956, CFSI has made 250 films and most of the films have taken part in festivals and received accolades.